Unfortunately, we cannot support Spain anymore, but many teams still need us! Whether you like it or not, this month the World cup is a must. The greatest part of this event is the atmosphere. On one hand, everyone stops to be a world citizen and remember its country of origin. On the other hand, we are one: no boundaries, no borders. It doesn’t matter if your country doesn’t compete, there is another one to support! We really like to enjoy the match with our friends, drinking cañas, tasting tapas, sitting on a beautiful terrace or on a rooftop commenting the fouls or a goal. The places to watch the matches are several: at home with some friends and flatmates, on the beach (if you live by the sea), in a restaurant, on a terrace (here in Spain are quite popular), on a rooftop or in a cafè, etc. You are spoilt for choice, especially if you live in a big city like Valencia, Barcelona or Madrid. 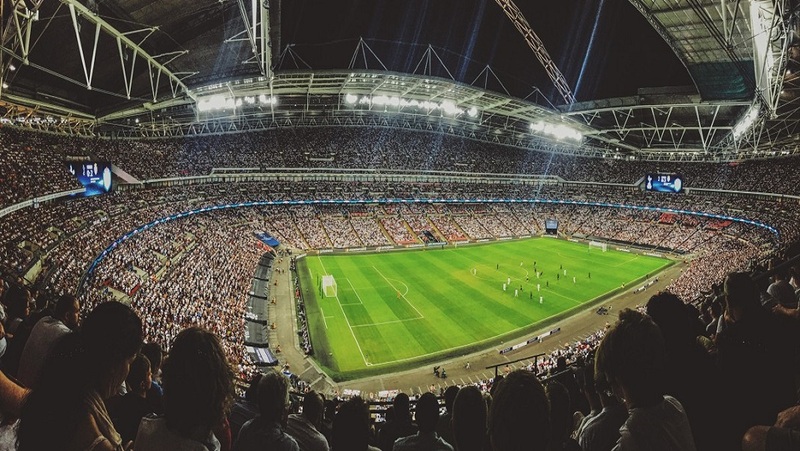 In order to help you on this hard choice, we’ve selected some bars and restaurant in Madrid to follow your favourite team and spend some hours pleasantly. We may not have the beach, but we surely have great places to support our favourite team! The name of this bar speaks for itself. If you want to feel the stadium atmosphere, this bar is the right choice. Their beer and their tapas won’t let you down. This restaurant has a tiny bar directly across the street: it is quite small and it’s hard to find a place to sit. However it is cheap, they serve high quality tapas and you will have surely fun. We highly recommend this place. Everyone likes rooftops and, during the World Cup, they are even more attractive. After the match, you can enjoy an amazing view of the city during sunset, taste a delicious drink and listen to good music. This terrace close to the Reina Sofia Museum is charming and elegant. If you are planning to visit an exhibition and the match is going to start, this is a great choice. The Cervecería is a tiny and pretty bar perfect to watch the match with people in the neighbourhood. If you like an intimate setting and you want to watch the World Cup in perfect “Madrid style”, come over! This is the classic Irish pub, perfect to drink a beer and watch a football match. You’ll meet people from all over the world and you’ll support together the teams. They are two typical Spanish restaurant chains: they serve cheap tapas and beers. Even though these places are quite rustic, they are the perfect solution if you are a big group, as they have at their disposal a quite big floor space.